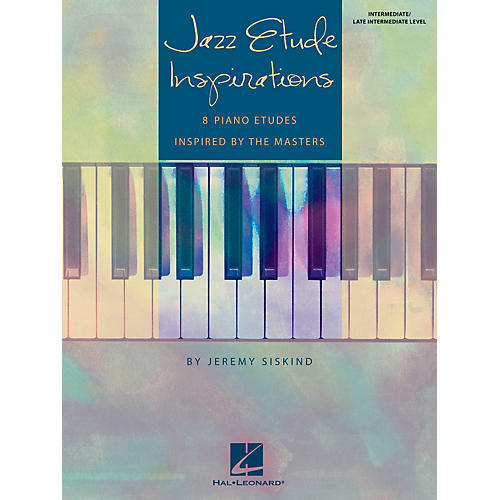 Jazz Etude Inspirations is a collection of eight original piano etudes inspired by some of the most important jazz pianists in history. Etudes in the style of legendary greats Oscar Peterson, Duke Ellington, McCoy Tyner, Jelly Roll Morton, Chick Corea, Brad Mehldau, Count Basie and Herbie Hancock will help students master some technical challenges posed by each artist's individual style. The performance notes include a biography, practice tips and a list of significant recordings. Tunes include: Count on Me · Hand Battle · Jelly Roll Me Home · Minor Tyner · Oscar's Bounce · Pineapple Woman · Repeat After Me · Tears Falling on Still Water. Intermediate to Late Intermediate level.